Quarter final cup success and League Cup disappointment in the week 20 – 26 March in Hammer’s History. It is straight into pulsating cup action for the week 20 to 26 March in Hammer’s History. Looking for a third cup victory in as many years West Ham had reached the final of the Football League Cup in 1966. The competition was still in its infancy with participation optional and at the time there was no Wembley final and no European prize for the victors – both were implemented for the following season. The 1966 final was a two legged affair between West Ham and West Bromwich Albion and going into the second leg at The Hawthorns the Hammers held a slender 2-1 advantage. To prove that slow starts and sloppy defending are not a recent phenomenon West Brom were 4-0 up within 34 minutes with goals from Astle, Brown, Clark and Williams. Martin Peters, playing out of position at right back, managed to pull a goal back in the second half but it was not enough and the Hammers lost out 5-3 on aggregate. Exactly one year earlier there was another second leg tie but this time in the European Cup Winner’s Cup 3rd round against Lausanne of Switzerland. Leading 2-1 from the away leg the expectation was that progress to the semi-finals would be a formality against the un-fancied Swiss side. However, any notion of a stroll in the Upton Park was kicked swiftly into touch when Lausanne opened the scoring after 37 minutes. The setback sparked an immediate West Ham reaction and by the break an own goal and a Brian Dear effort had put the Hammers into the lead. Lausanne scored again early in the second period, Martin Peters restored the advantage on the hour, but only for the Swiss to draw level once more with 10 minutes remaining. With the aggregate score standing at 5-4 in the Hammer’s favour it was a tense finale but just before the final whistle Dear scored again to settle events at 4-3 on the night, 6-4 on aggregate. In 2006, it was 6th round FA Cup action away to Manchester City at Eastlands. Having only won their 5th round replay a week earlier Alan Pardew had fielded a weakened team in the intervening Premier League clash with Portsmouth (which West Ham lost 4-2). Back to the cup and City exerted early pressure but the West Ham defence managed to stand firm and after 41 minutes Dean Ashton scored an excellent goal when evading the challenge of Dunne and Distin to fire past David James in the City goal. To further the Hammer’s cause referee Howard Webb sent off Chinaman Sun Jihai for swinging an arm at Matthew Etherington. Ashton then scored his second as both teams played on, despite Christian Dailly going down injured, with Deano converting a Yossi Benayoun cross to double the lead. City pulled a goal back with 5 minutes to play but it was the Hammers who progressed to the semi-finals. Another memorable game was played between West Ham and Manchester City in 1970 this time at Maine Road. 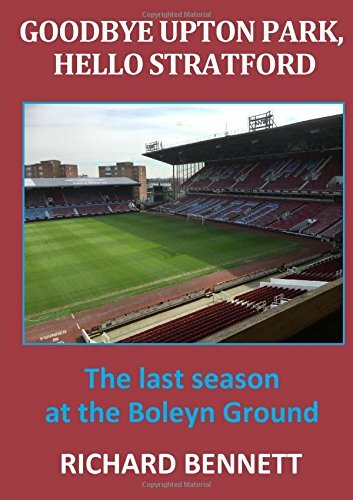 The game, played on a pitch that was devoid of almost any grass, saw the West Ham debut of Jimmy Greaves following the exchange deal that took Peters in the other direction to north London. It took Greaves just 10 minutes to maintain his record of scoring on his debut for every club that he played for; he later went on to add a second. The match was also notable for a 40 yarder from Ronnie Boyce when he volleyed Joe Corrigan’s attempted clearance straight back into the net. Geoff Hurst also scored twice in a 5-1 victory. Finally, a day that most will not want to remember was a 4-1 defeat in a 2004 Division 1 defeat to Millwall at the New Den. It was a feeble Hammers performance against their fierce rivals that saw a Dailly own goal, Stephen Bywater sent off, two missed Millwall penalties and the appearance of riot police. Ouch!